Interview -- Spooky Empire's very own Petey Mongelli!! 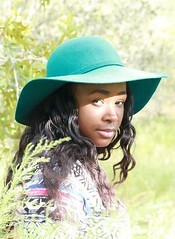 *I had to reupload this since it disappeared from my blog. I'm still coming down from my Spooky Empire Weekend high. 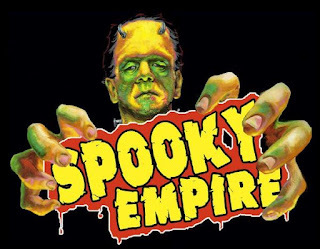 Recently, I had an awesome opportunity to interview Spooky Empire's founder Petey Mongelli! I was able to somewhat pick his brain on his horrific creation: Spooky Empire's Ultimate Horror Weekend in Orlando, Florida! Thousands of people look forward to it EVERY year! Yes, the beauty of Central Florida being taken over by HORROR FANS! Are you crying like I am? Formerly known as Screamfest (changed in 2008), this awesome horrorfest has gone from a single room hall in Plantation, FL to the entire Wyndham Resort in Orlando! It's a home for horror with its very own celebrity roster! There are over 60 celebrities who attend, along with a dozen of guest panels, a weekend filled with full movie screenings and so much more! Each year, this convention makes history. So let's enjoy some of that history now with my interview with Petey below. 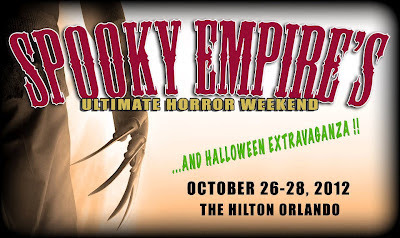 Make sure that you attend Spooky Empire! If not, remember, I know where you live...and so does the guy in the picture below. 1. For those few who haven't been fortunate enough to know until now, could you please tell us who you are and what you do? My name is Petey Mongelli. I am the owner and promoter of the largest horror convention in the United States, Spooky Empire. 2. How did Spooky Empire start? Ten years ago, me and two other guys were working on the Broadway Show The Lion King. I mentioned to them that I wanted to put together a convention, but at the time the idea was to do more of a rock n roll convention. Music was kind of in a slump at that time, and horror movies were becoming more mainstream with the first of Rob Zombie’s films. It just seemed like a good choice for a convention. The rest is history. 3. Could you tell us your TOP 5 horror movies? 5. QUICK! There is a zombie apocalypse; what is your weapon of choice? 6. What are 3 tips you could give us when attending Spooky Empire? - Visit the vendor room before you get autographs. There are some great items in there you can get signed. - Reserve your hotel room way in advance, it always sells out, and then everyone complains they can’t get a room. - Pace yourself – you don’t want to get too drunk on Thursday night. You have a whole weekend of partying, take it slow and enjoy the show! 7. In 10 years, where do you see yourself and Spooky Empire? Being able to finally enjoy the actual show, instead of working it and watching it on video later! 8. Which guest are you most excited about seeing this year at Spooky Empire and why? Rose McGowan, we’re fans of a lot of her work. Also the Nightmare on Elm Street 4 reunion, it’s a first, never been done. 9. Why should we visit Spooky Empire this year? Why wouldn’t you? If you are going to celebrate Halloween, what better way to do it? 10. Finally, this is just for my own personal record. What is your favorite kind of sandwich? Upcoming Horrors for November 2012! It's November! It's time to share the list of all the delightful horrors that are coming out this month! It doesn't matter if it's straight to DVD or theaters--horror is HORROR! So by the looks of the cover can't you tell? It's a parody of Paranormal Activity--duh! So expect ridiculous, perhaps funny videos! I doubt that this is a horror, but of course because it has vampires in it, they slap it in the horror section. Anyhow, its the modern day tale of two young beautiful female vampires living the good nightlife in New York. UNTIL!! They fall in love...and now they have to choose between LOVE or jeopardizing their immortality. A business man, his wife and son experience a horrible accident while visiting Bangkok. In the aftermath, they find there is a shadow world between life and death where endless darkness lies. Not a horror but it has horror elements plus SURPRISINGLY, I'm a fan of Twilight. So. Yeah...judge all you want! I'm a secret romantic. This film is based on a non-fiction book by Stephen Rebello. It's pretty much about how Hitchcock arrives at his highest point of directing and decides to make a horror. I'm sooo looking forward to The Collection!